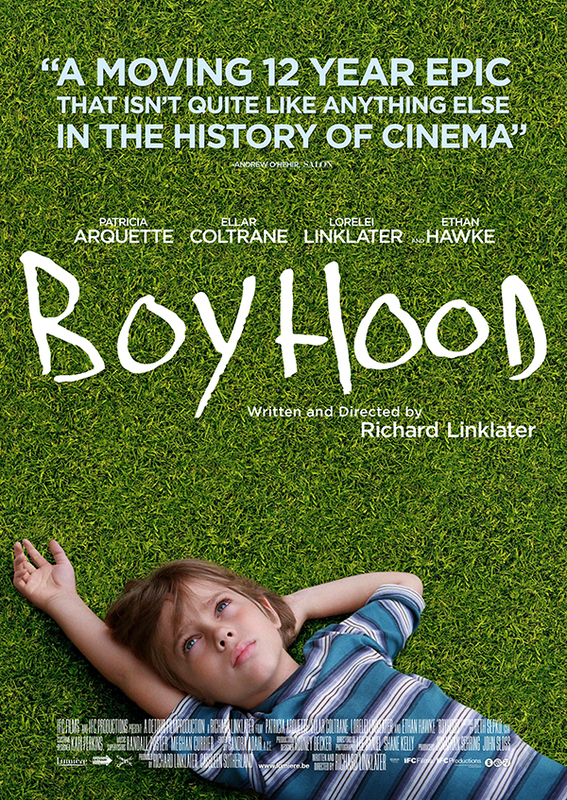 The film follows six year old Mason, played by Ellar Coltrane growing up in the USA with his sister Samantha (Lorelei Linklater) and his mother (Patricia Arquette) while his dad, portrayed by long time Linklater collaborator Ethan Hawke as they go about their lives. There are certain things that audience members can relate to, particularly if they had a sibling growing up. Pop culture references are there in abundance and in that the film does have things that we can all relate to as the years go by. The actors naturally age as their characters evolve on screen and it is intriguing to watch as they naturally age. However, despite this innovative idea, the movie falls flat as there is no plot to speak of. The key job of a film is to tell a good story, but that good story is really lacking here, rendering it is difficult to maintain interest in what is happening on screen. The film trickles along from one scene to the next with very little coherency and painfully boring scenes in which characters just tend to talk, mope around, whine or be abusive. The scenes are at times painfully tedious. There is no powerful emotional punch, no hard-hitting moment that leaves you reeling. Life is full of those key moments, the moments that will stay with a person forever. For instance, completing school, graduation, getting a job for the first time, moving away from home. These moments are usually full of emotion for people and their families and they should have an impact here, as everyone goes through what Mason goes through but they don’t, they really really do not, and that is a major disappointment. With 12 years to shoot the film you would think the acting on show here could and maybe should be top notch, yet in many of the performances, there was no spark. Being cast as a six year old was probably a daunting task for the young lead and in all fairness he does get better as the years go by, but in spite of this, his acting still felt a bit wooden at times, almost as if he was reading lines. Lorelei Linklater is equally a bit lacklustre at first but she too does grow in her role. Patricia Arquette gives what some would say is the strongest performance here but again there is no spark, no really hard hitting moment that blows the audience away. Furthermore, her choice in the men she marries leaves a lot to be desired. However, Ethan Hawke’s turn as the father provides the film with comfortably its strongest performance. An anchor of emotional support when his children needed it most, given the fact that a lot of the time they’re surrounded by deplorable alternative father figures that make you want to throw bricks at the screen. Arquette did sweep the board among the major award ceremonies, but there were lots of better performances that were far more deserving of the prizes. Much of the praise for this film has been that there isn’t anything like this that has been attempted in cinematic history, and it is true that this film is an unprecedented feat. Yet for all the scope and ambition, the twelve years of hard graft and effort that went into the production of the film, you would hope for a golden end product. The film is relatable in proportions but with all these events that we as human beings go through, you would hope for that emotional moment. The ambition and over a decade of work is an undeniably impressive feat but the quality is severely lacking. An extremely ambitious idea from Richard Linklater, but great ambition does not always mean great storytelling. One great performance does not save the film from its tedious scenes, a complete lack of plot and dearth of emotional moments.